NUMBERS NERDS – large cast version – CPA Theatricals, Inc. When I embarked on the project of creating a new musical, I knew that I wanted to market it to high schools, colleges and community theatres. I also knew that I wanted to do a show with strong female leading roles. I know that many schools do two shows a year – a big, splashy show, and then a smaller, more intimate show. So I decided to envision Numbers Nerds as that second show. It would also work in smaller schools, which might not have the resources for a large show. But I soon learned that many schools only do one musical a year and it has to be a show with a large cast. As one theater chair said to me: “I love your show. But my principal would never let me do a show for such a small cast. 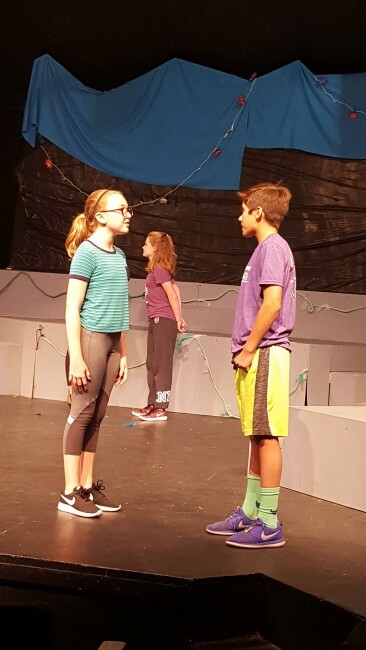 I have to find a way to get all my kids on the stage!” So, I decided to expand my project by creating “NUMBERS NERDS – large cast version.” The same show but with a chorus added. 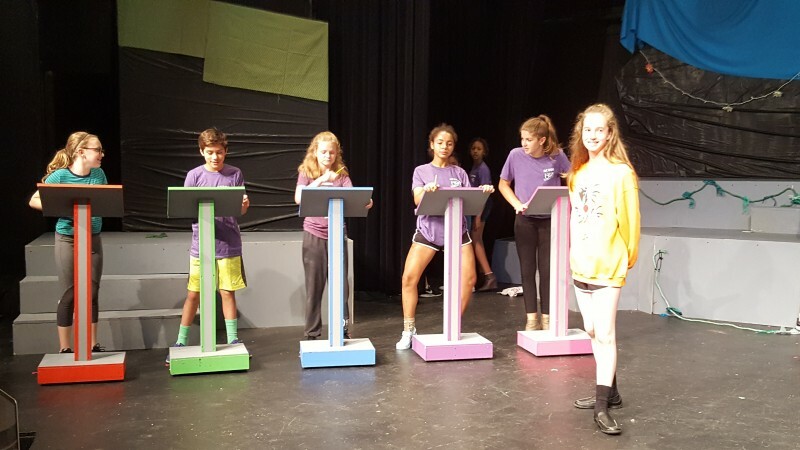 Last Friday, I saw a rehearsal of the pilot production of “NUMBERS NERDS – large cast version” at Bravo Performing Arts in Oak Park, Illinois. 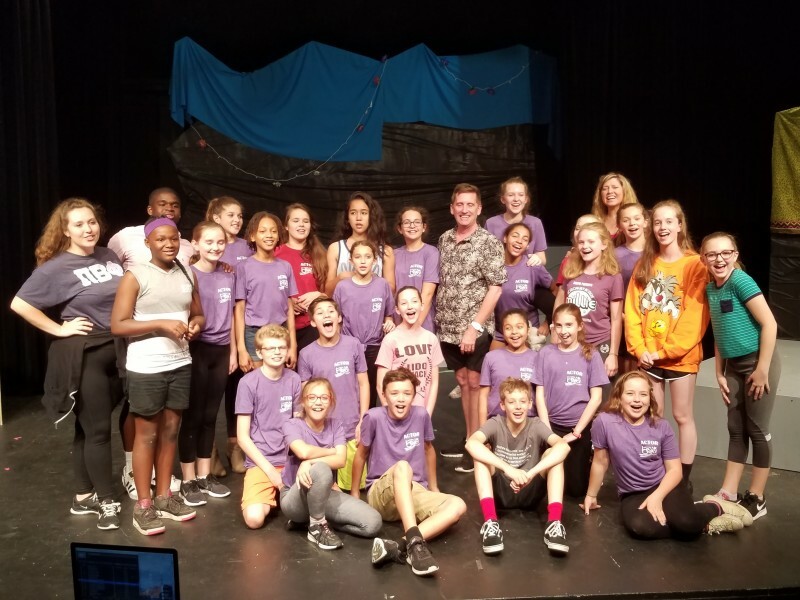 Tina Reynolds, the Artistic Director and Program Manager of Bravo, saw the original, small-cast show in our workshop production last summer at the Chicago Musical Theatre Festival. And almost immediately she started pushing me to let her “grow the show” at Bravo. From that…well, the rest was history. The large cast production will open in a couple of weeks. When I came to visit, they had been rehearsing for a couple of weeks. But only that day had they started using the performance space. So it was a “new day” for all of them. But what a day! Here are some of the things I learned along with some pictures. FEARLESS – these middle school students are fearless. They dove into the show, had fully developed characters, vocalizations and physicalizations to match the character descriptions. DANCERS – the chorus dances ….and I mean dances…… In fact, it made me realize that one of the greatest benefits of a large cast version is the opportunities for dance which that provides. The choreography was professional and exciting, and contributed extra energy to many of the numbers (they even added tap dancers to the show!) I also realized that having all this dance gave the chorus members a real and important role in the show. They weren’t just standing around while the leads did their songs. They had to rehearse as hard as anyone else. And they knew their contribution was important. DISCIPLINED – I did not expect the level of discipline that I saw during rehearsal. 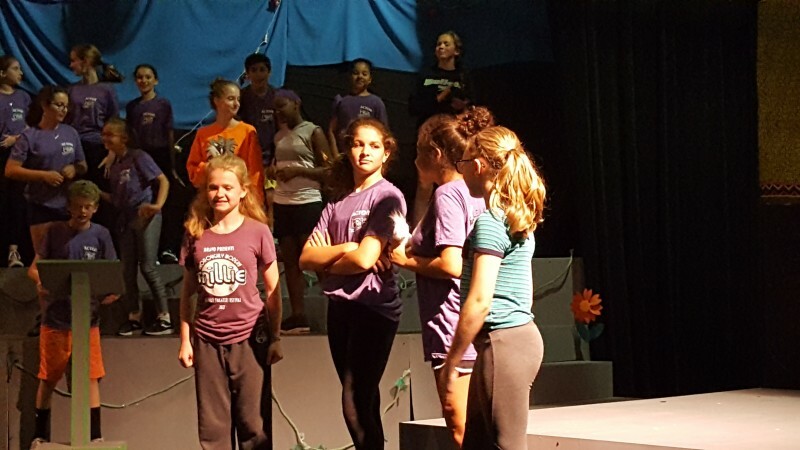 25 students, 3-4 backstage crew, designers, choreographers, photographers, directors and all their assistants – all at this one rehearsal….and when the director called for quiet…everyone was silent. Cannot wait for this to happen.